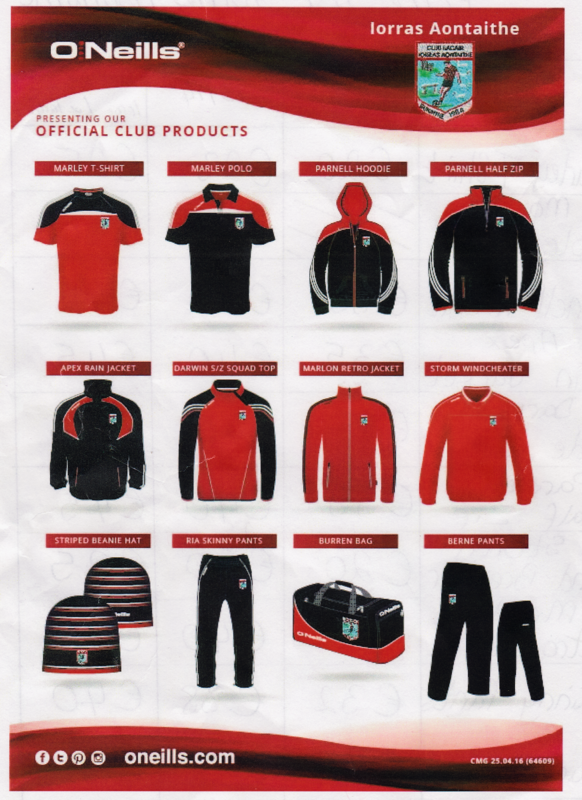 The line in Club sports wear and merchandise by O’Neills Sports for 2016/17 season has just been launched and is available now . 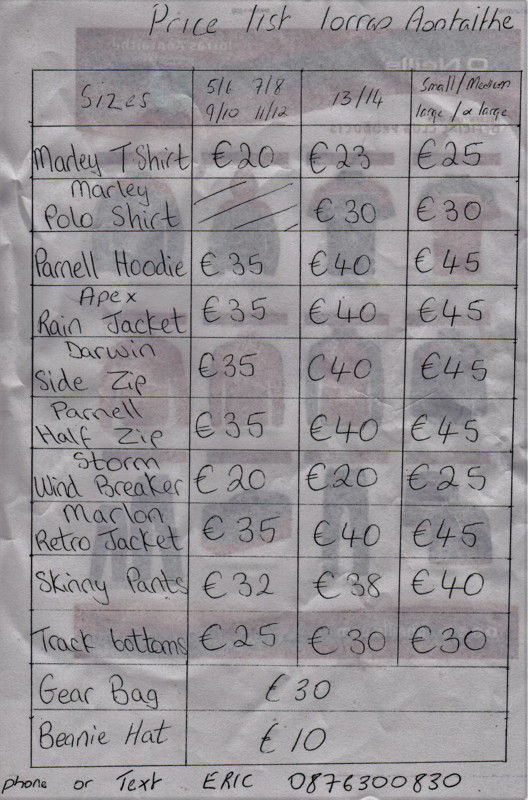 If you wish to order any of the photographed items, size/price, call Eric on 087-6300830. All the items are available in Child and adult sizes. An illustrated catalogue and prize list is available in Belmullet or by calling the numbers above.